BRTA New Job Circular July 2018 published by Bangladesh Road Transport Authority. BD Road Transport Corporation Jobs 2018 also published on Prothom Alo Chakrir Khobor jobs newspaper. 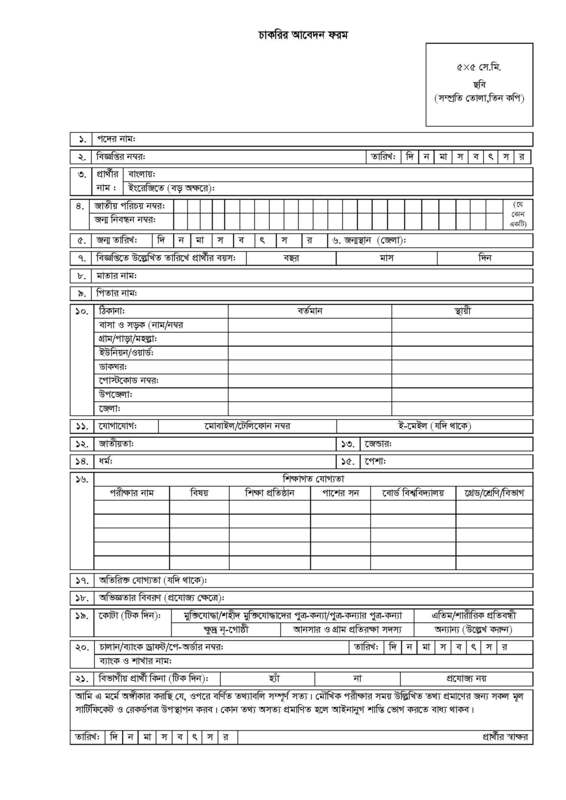 The Jobs Circular 2018 has published on brta.gov.bd .The interested applicant find the Bangladesh Road Transport Corporation Jobs form on brtc.gov.bd. Applicant can apply within on 09 Auguest, 2018. The candidate find Application BRTA Jobs Circular also here. More information are given bellow. Bangladesh Road Transport Authority (BRTA) was Established under section 2A of Motor Vehicle Ordinance 1983, (Amendment-1987) Vide SRO No-303/Law/87/MVRT/1E-7/84(part), Dated 20/12/87 and has been functioning since January 1988. BRTA is a regulatory body to control manage and ensure discipline in the road transport sector and road safety related areas in Bangladesh. It is an authority under the Ministry of Communication for carrying out the purposes mentioned in the Motor Vehicle Ordinance, 1983. The Chairman is the chief executive of the authority. He exercises such power and performs such function as prescribed by rules and assigned by the government from time to time. As per revised organogram total number of circle is 62 (57 District Circle + 5 Metro Circle). At present 57 circles are working where 61 AD (Engg.) is posted as head of the office. Rest of the sanctioned circles are administered from near by circles (57 circles).